Bighelp has donated Sanitary napkins incinerator to P.M.M.M. Municipal corporation high school, Kovvur, West Godavari, Andhra Pradesh, India. 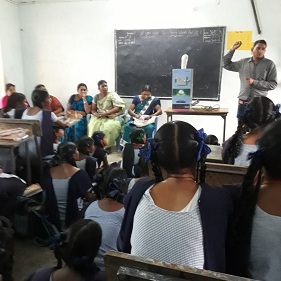 In schools especially, disposal of sanitary cloth and sanitary napkins in girls’ toilets is big problem. It affects the proper functioning of the toilets when disposed in the toilet and serious health problems if thrown out in garbage dumps or in the open. There is, thus an imminent need to address this important sanitary waste disposal effectively. Hence Bighelp came forward to provide Sanitary napkins incinerator for P.M.M.M. Municipal High School. 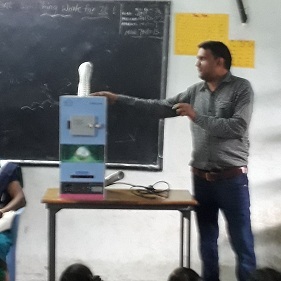 The Sanitary napkins incinerator provided by Bighelp helped the girls for safe disposal of sanitary napkins.